President Trump and First Lady, Melania arrived at the Vatican as a part of their first foreign trip. President Trump had a brief meeting with Pope Francis discussing ‘climate change’ and the Middle East crisis. Pope Francis then blessed Melania Trump’s rosary and the left went crazy. 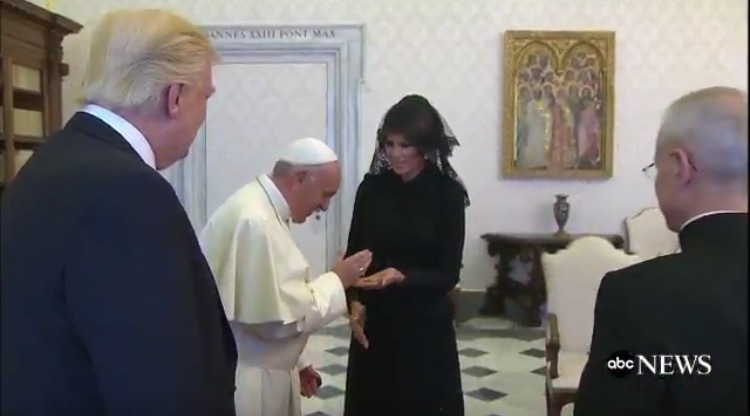 First Lady, Melania looked exquisite in all black as she respectfully wore a veil in the presence of Pope Francis. She shunned Islamic law by refusing to wear a hijab in Saudi Arabia, so the liberals had a meltdown over this. Leave it to the liberals to turn something this beautiful into something negative. Reminder to all liberals: Melania Trump isn’t Muslim and doesn’t need to wear a hijab! First Lady Melania Trump tweeted, “Today’s visit with His Holiness Pope Francis is one I’ll never forget. I was humbled by the honor. Blessings to all.” The Daily Mail reported that Melania Trump’s spokesperson confirmed that she is a practicing Roman Catholic. We haven’t had a Catholic First Lady since Jackie Kennedy. God Bless our beautiful First Lady. @ABC DONALD: Oh that’s great, you’ll hold his hand but you won’t hold mine. @ABC So now she wears a head scarf lol. Go figure. @ABC Oh HERE she’s modest and covers her head? @ABC Now she’s got something on her head! Wow! What a super animated couple!! Just stranger and stranger with each wasted day in the Whitehouse!! 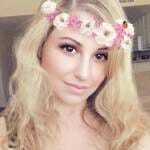 @ABC And NO @IvankaTrump you don’t get a rosary! @ABC She held the Rosary with one left hand???????????? No!!!!! !